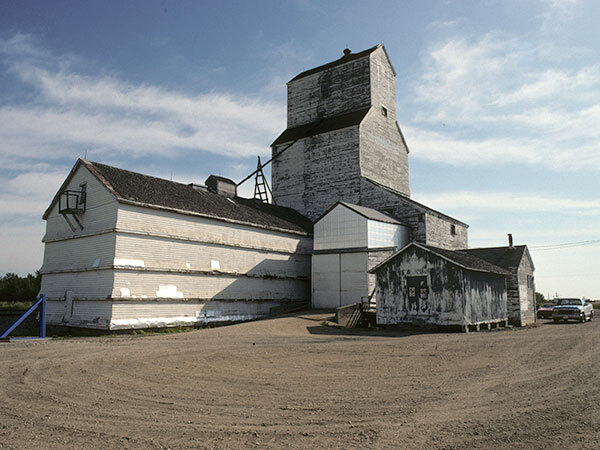 A grain elevator at Ashville, on the CNR Togo Subdivision in what is now the Municipality of Gilbert Plains, was built in 1946 for United Grain Growers, replacing an earlier elevator built in 1912 by the Manitoba government and leased to UGG until 1924. Attached to the UGG Gilbert Plains local until August 1949, a separate local was organized that year. The elevator’s capacity in 1972, with two associated wooden annexes (one built in 1946, the other in 1952), was 81,000 bushels. The elevator was removed from the site between 1995 and 1997. Source: Historic Resources Branch, Grain Elevator Inventory, slide 1941. 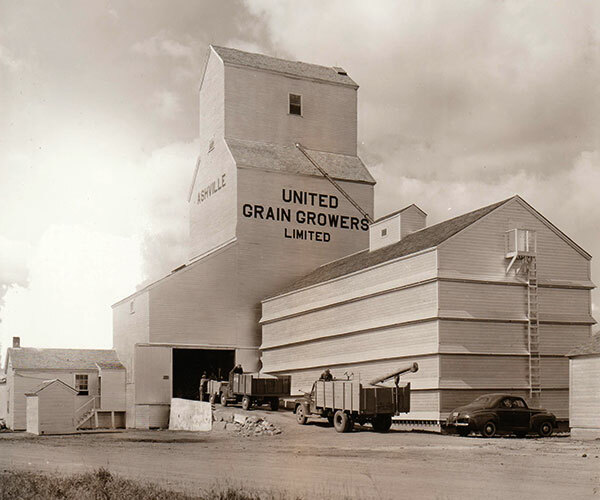 “History of United Grain Growers Local #157, Ashville, Manitoba.,” United Grain Growers Ltd., MSS76, Box 59, University of Manitoba Archives & Special Collections. We thank Leinita Woods and Shelagh Poolie (Viterra Inc.) for providing additional information used here.